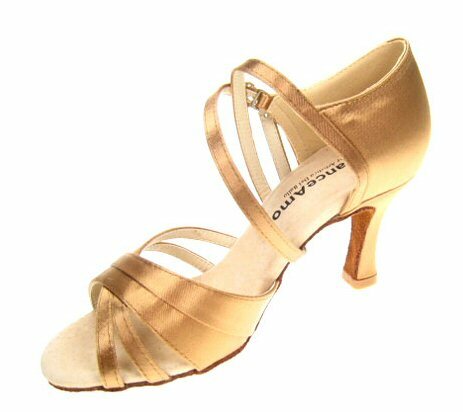 The GOLD range is most suited for the discerning recreational dancer who values stable and durable shoe. Made with reinforced shank for better balance. All shoes in GOLD range are made with real leather insoles. Heels 2.5" only. Handmade with great attention to detail. Extra strong arch support. Very generous sole padding. Quick release buckle. This is the only shoe in the GOLD range made with 3 inch heels. All other shoes in this range are made with 2.5 inch heels.